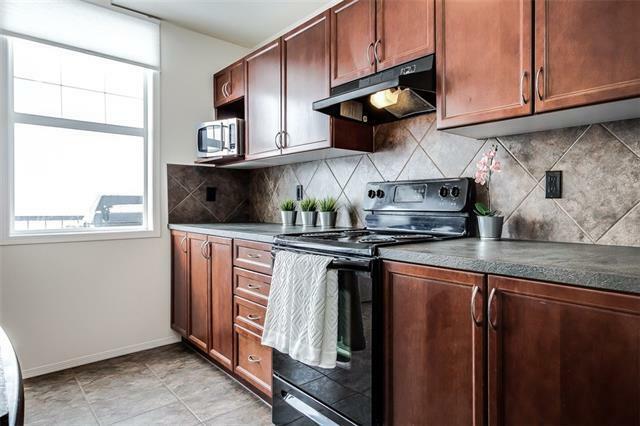 Lovely townhouse located in the centre of Calgary West. This one of the most desirable UPPER units in College Gate featuring all living area above grade. 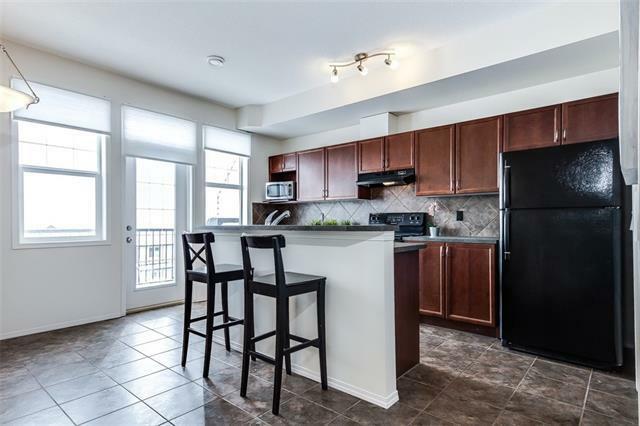 The main floor features spacious kitchen, breakfast bar and a dining area. 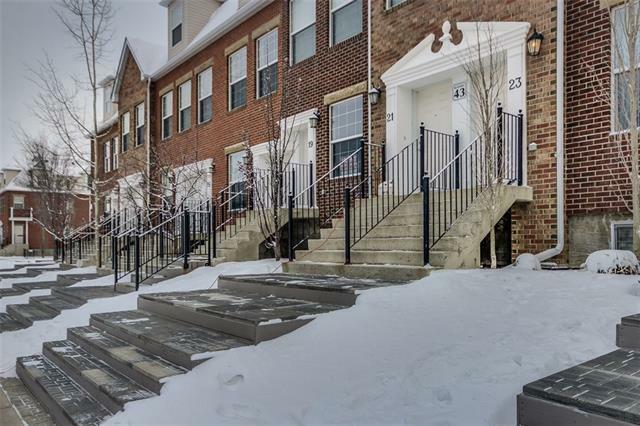 This leads to a large SE facing balcony equipped with a natural gas hookup for your barbecue. Also included is a large living room with beautiful hardwood floor. Three big windows in the living room offer generous sunshine. The upper floor has two good sized bedrooms; the master's got its own ensuite bath, and one more full size bathroom is between the two rooms. Both floors feature 9-ft ceiling. Fresh paint all around. New window-coverings everywhere. 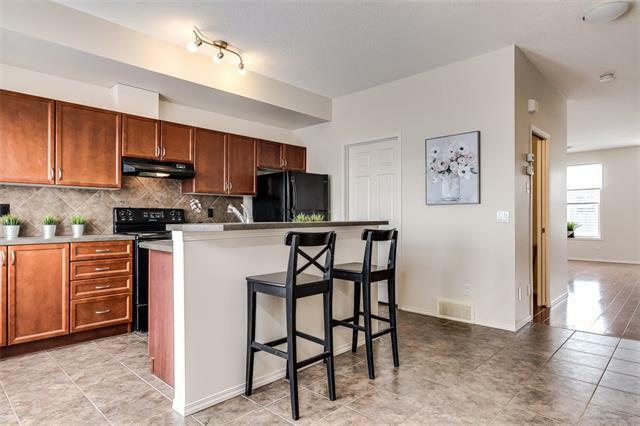 Its location is top notch and convenient; 69 ST C-Train Station is 5 minutes away on foot. It takes only 15-20 min to downtown by train. Exercise at Westside Recreation Centre. Griffith Woods School(K-9) and Ernest Manning High School are both within walking distance. This is the one. Don't look further! Make an appointment today.